The South Platte River Trail is a 19 mile loop beginning at the Colorado Welcome Center at Julesburg. There are pullouts at each of the 11 interpretive markers. The majority is on paved highway, but there is 7 miles of gravel road on County Road 28. There may be times you have to stay behind a herd of cattle being moved, or you may have to wait on a combine getting to a field. Just be patient and enjoy. State Logo signs mark your way. Surrounded by tepees and buffalo, the Welcome Center at Julesburg offers FREE maps, coffee, restrooms, picnic areas, walking paths, 350 brochures, plus there are great volunteers to help with your travel plans. The Welcome Center is the beginning of the South Platte River Trail Byway. Drive west along County Road 28 and read the adventurous past on the award winning interpretive signs. 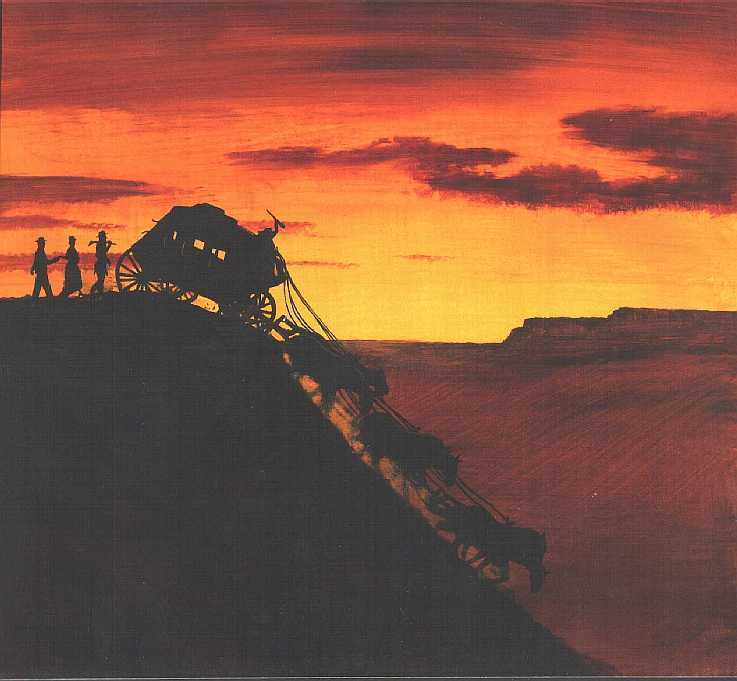 Devil's Dive is a steep draw of rock, sand and sagebrush that may look pretty tame now, but when early freight and stage drivers whipped up their teams for the last run into Julesburg (site No. 1), passengers often chose to get out and walk the last half-mile. Immigrant Italian Uberto Gibello earned a modest living digging wells and doing masonry work, but he had a vision. Between homesteading in 1887 and his death 23 years later, Gibello honeycombed numerous tunnels, underground rooms, 3 stone houses and terraced the hillside with an attempt to start a vineyard. After Cheyenne, Arapaho and Sioux warriors burned the first Julesburg down in 1865, the second Julesburg was built just outside the Fort Sedgwick Military Reservation. Legend has it that it was built outside the reservation boundary so alcohol could be sold. The town planners had great visions for the new town, but the arrival of the Union Pacific Railroad north of the river doomed the fledgling town. Once again, Julesburg was on the move --this time to meet the railroad. One of the major influences in the settling of northeast Colorado, was and still is, the availability of water. The windmill is more than a machine-it symbolizes survival. The windmill grew up with the American West, supplying water for people, crops and livestock. Here on the open range, windmills still provide water for livestock and their own unmistakable brand of prairie music. 5. 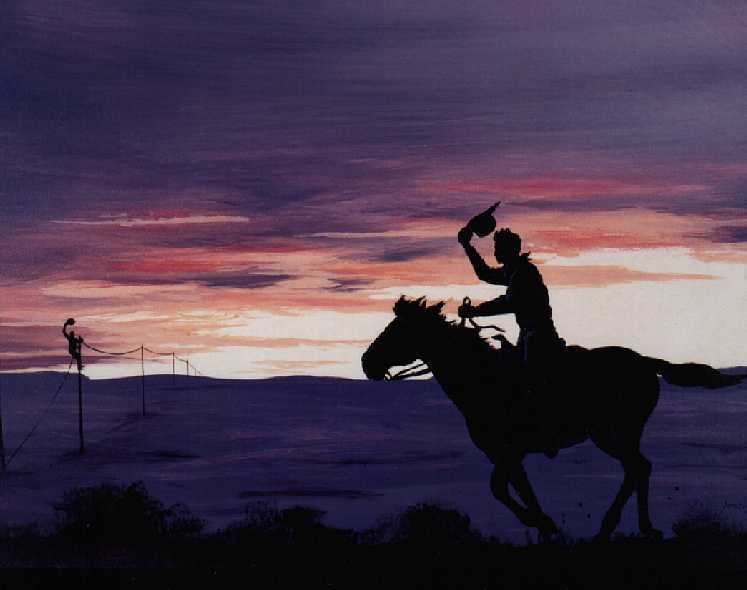 The “Earie” Tale of the First Julesburg, the Pony Express, Telegraph and Julesburg in Ashes! The original Julesburg (#1) was established by Jules Beni, a French Trader, as a trading post, stage station and town in the early 1850’s. Strategically located at the “Upper California Crossing” Julesburg became a thriving little way-station on the 19th century “interstate” and it played host to the Pony Express, the Transcontinental Telegraph and numerous stage lines. History remembers Jules Beni as a disreputable character. The stage line fired him after accusing him of theft and other illegal activities. 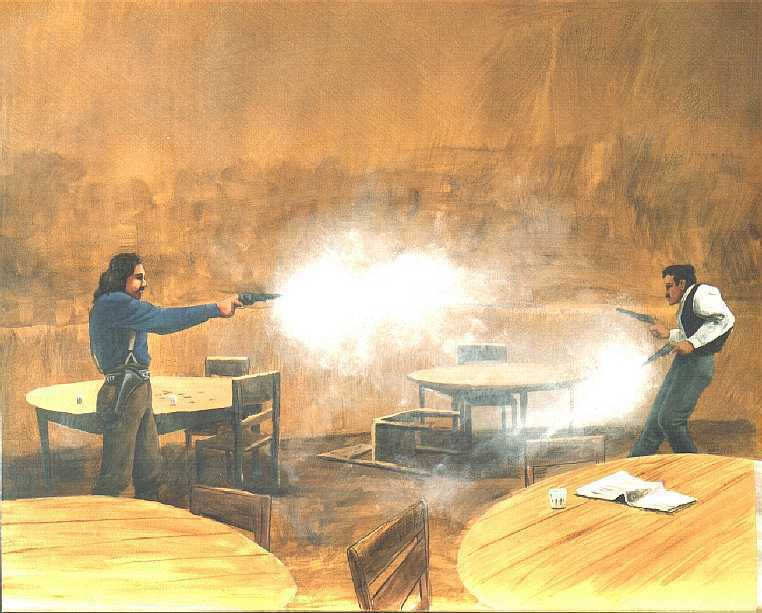 He fought several gun battles with Joseph A. “Jack” Slade, a supervisor with the stage line. Slade eventually killed Beni and allegedly cut off his ears -- nailing one to a fence post and using the other as a watch fob. Even with Jules Beni’s unsavory reputation, he unknowingly set the stage for a series of four towns that would bear his name. During its short existence (1860-1861), the Pony Express provided speedy mail delivery between St. Joseph, Missouri and Sacramento, California. This route of over 2,000 miles required relay stations every 10 to 12 miles where horses were exchanged. Riders were changed at home stations spaced 75 to 100 miles apart. 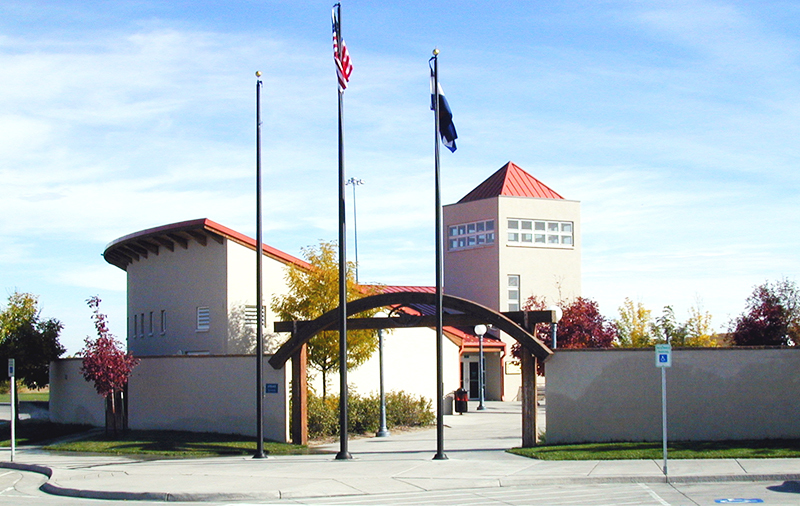 Julesburg served as the only "home station" in Colorado. It was at Julesburg #1 that the trail turned north and followed the Lodgepole Creek out of Colorado. The arrival of the telegraph spelled the end of the Pony Express. The senseless slaughter of peaceful Cheyenne on November 29, 1864 at Sand Creek in Southeastern Colorado united the Cheyenne, Sioux and Arapaho Indians. 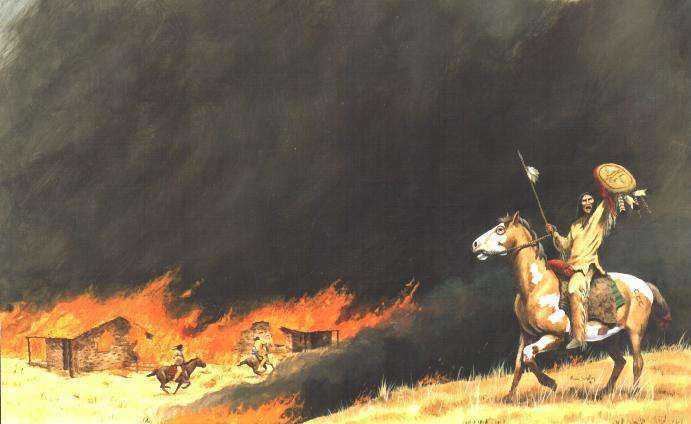 On January 7, 1865, a small band of Cheyenne Dog Soldiers attacked a stage coach and wagon train. When news of the raid reached Camp Rankin, a small military post nearby, Captain Nickolas J. O’Brien and 37 troopers of Company F, 7th Iowa Cavalry set out in pursuit. The war party retreated into the hills and the soldiers followed only to find themselves nearly surrounded by over 1,000 warriors. O’Brien and his tiny command fought their way back to the Fort and regrouped, using two cannon to keep the raiders at bay. 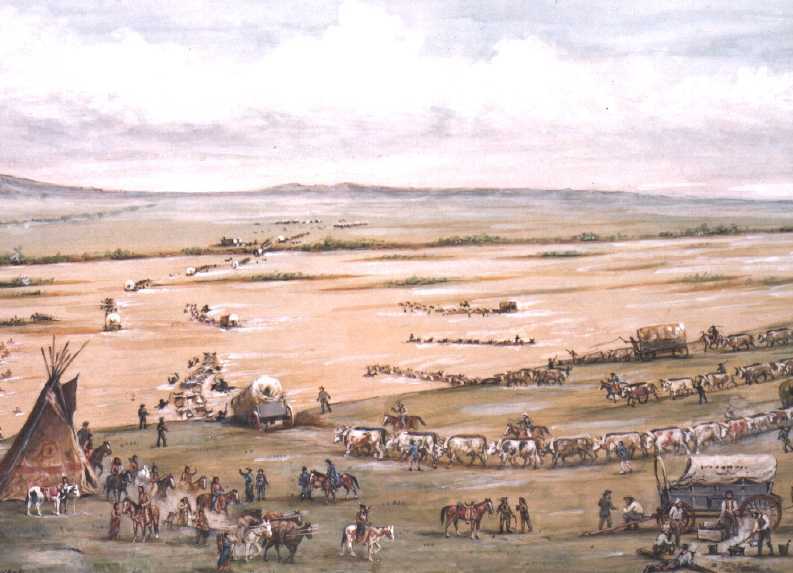 Meanwhile, the Indians moved into Julesburg looting as they went. In all, five civilians and fifteen soldiers were killed. On February 7, 1865 the warriors returned to Julesburg, hoping to lure the soldiers out of the fort. When the plan failed, the Indians looted the town and torched the buildings. Jules Beni’s first Julesburg had come to a fiery end! Camp Rankin was established in 1864 as a response to increasing troubles from Plains Indians. The post was soon renamed Fort Sedgwick in honor of Major General John Sedgwick, a Civil War hero. Fort Sedgwick’s troops protected the telegraph line, stage stations and kept the Overland Route open for commerce and travel. The post quickly grew from a couple of sod huts to a full-blown military installation. However things didn’t get much tamer around Julesburg. The U.S. militia, who were posted to Fort Sedgwick, mixed with the area’s social brew - as both peacekeepers and instigators. Military records, diaries and letters of those who survived life at the post reveal a “saga of fraud and corruption, bravery and daring-do…triumph and tragedy…where conditions were considered unlivable, pleasures were few and the nearest bath was the South Platte River.” ~ Dallas Williams, Fort Sedgwick, C.T. : Hell Hole on the Platte. Fort Sedgwick faded into oblivion 7 years later. 1870 Ft. Sedgwick by Anton Schonborn. Courtesy of FSHS. Known and loved by its citizen for its wide open spaces and clean air, Ovid is a small town located in the heart of Sedgwick County. In 1901 and 1902 Thad Sowder, a local cowboy had the skills he needed to earn the World Championship for bronc riding. 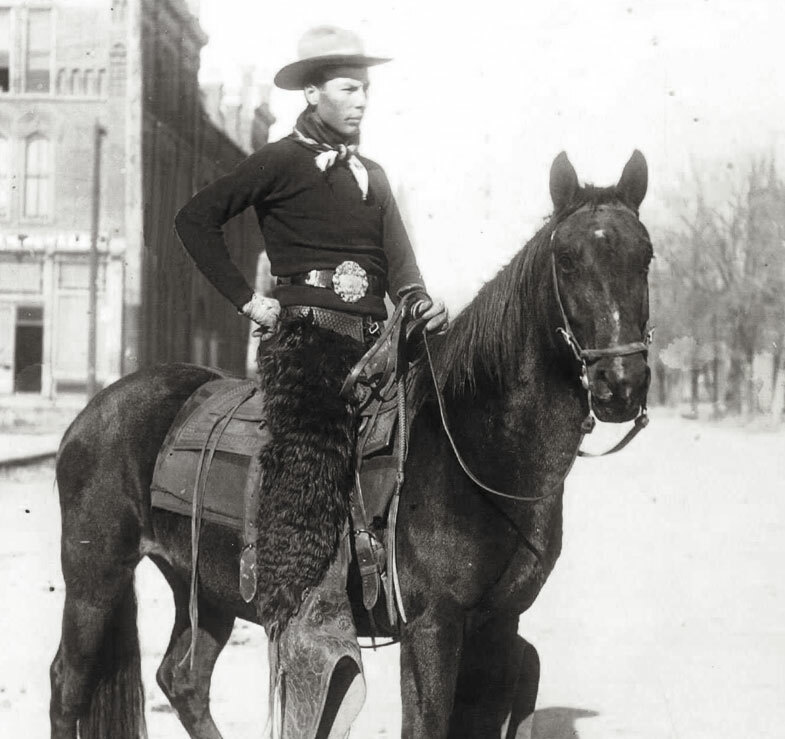 Thad Sowder rode in Buffalo Bill’s Wild West Show, performed for the Queen of England and was one of the first to be named to the National Cowboy Hall of Fame. He is buried in the Ovid Cemetery. Ovid boomed in 1925 when the Great Western Sugar Company built a sugar beet processing plant here. The plant closed in 1985 after the owners went bankrupt speculating in the silver market. In 2016 the factory was torn down but the steam-powered "Dinky" was salvaged and placed in Ovid's Town Park. The small locomotive was used from 1942-1985 for pulling railroad cars of beets up to the factory hopper. During W.W.II, German prisoners of war were housed in tents and two large downtown buildings. Their numbers grew to 400 as they were brought into harvest beets and potatoes. Long before any white men showed up, the Lodgepole Creek figured prominently in the area. Originating in Wyoming and flowing 150 miles to join the South Platte River below present-day Ovid, Native Americans found a favorite river crossing and campsite. Pioneers traveling the Overland Routes named this popular ford the “Upper California Crossing. 9. 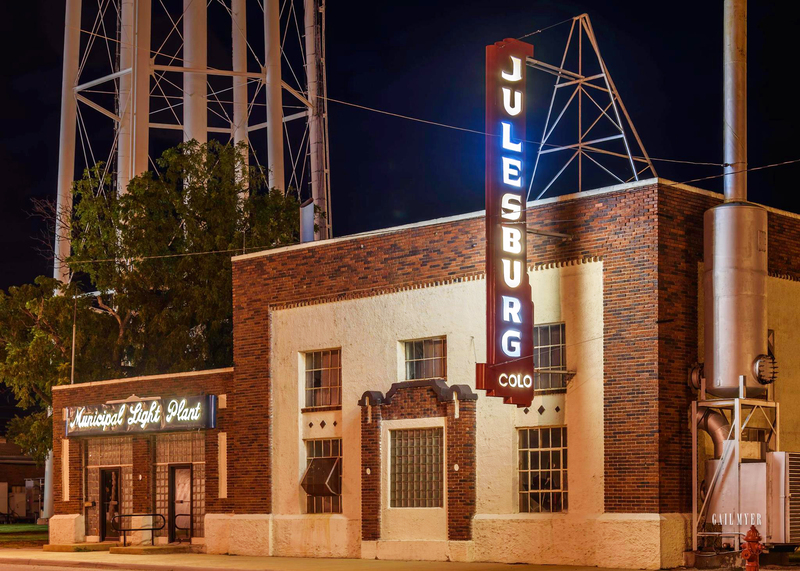 Julesburg #3 -Wickedest City in the West! The third Julesburg sprang up when the Transcontinental Railroad reached Colorado in June 1867. 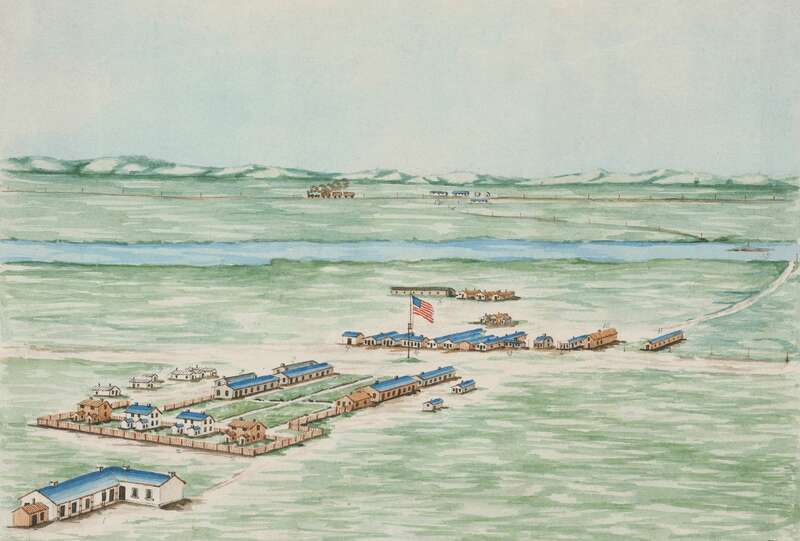 This “New Julesburg” started out with forty men, one woman, four tents and a half-finished eating house. Within a few weeks it grew to become one of the largest towns in Colorado with 1200 buildings, most devoted to some form of vice or illicit activity. This “Hell on Wheels” traveled westward with the railroad, serving the “social needs” of construction workers. As the rails moved on to Cheyenne, Wyoming, Julesburg #3 quickly faded and the small community remaining at the third location changed its name to Weir. Description: The main line of the Union Pacific went to Cheyenne, but in the early 1880’s a Union Pacific branch line was built to Denver and the residents from Julesburg No. 3 moved buildings and all several miles east to the new “Denver Junction.” The popularity of Jules Beni’s legacy prevailed and Denver Junction was soon renamed. Julesburg had reached its fourth and (hopefully) final destination. Today, Julesburg is still on the main transcontinental route, situated at the junction of Interstates 80 and 76. Visitors can sample the small town flavor while visiting the antique and craft shops, museums, parks, historic theatre and various recreational facilities. So, no matter where Julesburg has been located, it has always been an important waystation on the great Overland Route. From its early days as an 1850’s trading post, A Pony Express home station, end of track for the Union Pacific Railroad, start of the Colorado Loop of the Lincoln Highway and continuing with today’s modern interstate highways and telecommunications systems, Julesburg remains part of history in the making. The South Platte River includes river bottom, marshes, ponds and lakes and is home to hundreds of wildlife species including game and non-game. 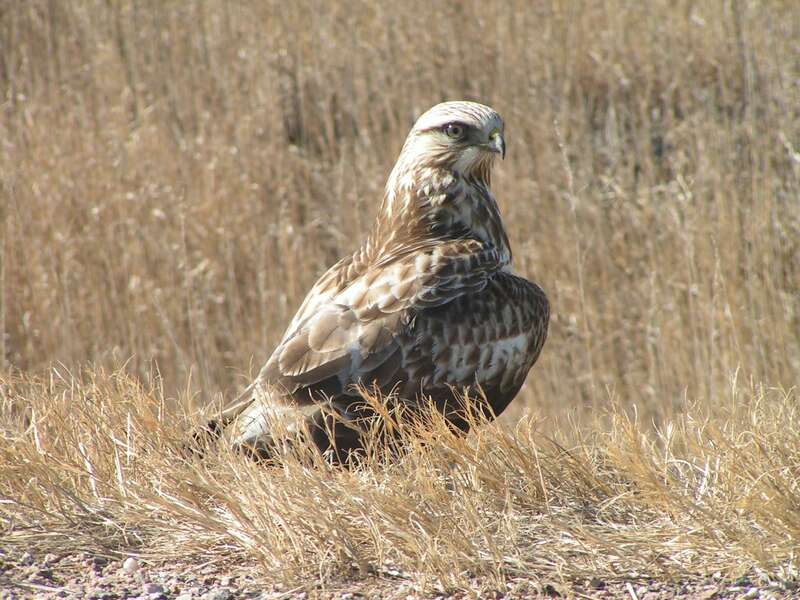 The riparian and grasslands ecosystems that currently exist provide wildlife observers the opportunity to see many species that occur nowhere else in Colorado, particularly as eastern and western songbirds overlap territory in this corner of the state. The South Platte River and nearby State Wildlife Areas provide numerous recreational opportunities.